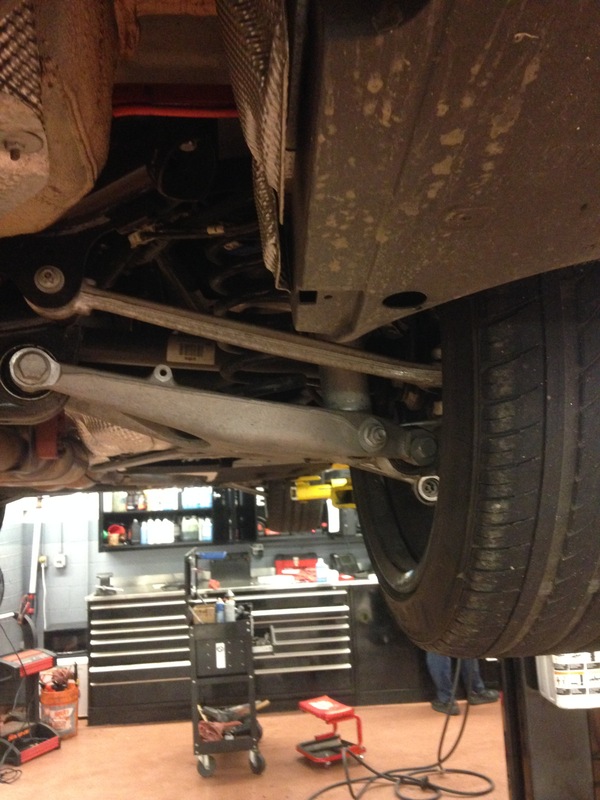 I know nothing special here,,,this is what your rear suspension should look like on a 2016 M3,,,everything looks good and straight. 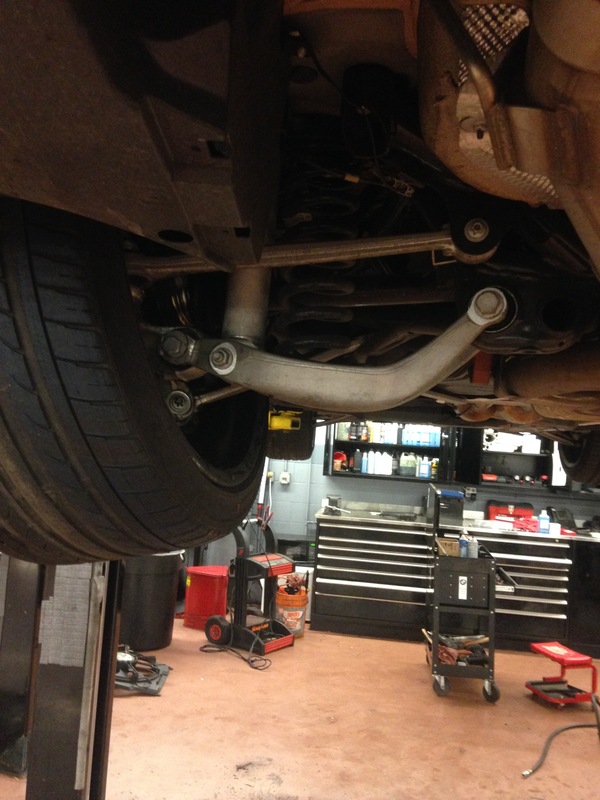 You have big problems is your rear suspension arms look like this,,,,,lol,,,,this is not a good sign,,,,I am impressed with how far it can bend before it breaks,,,,that’s some pretty strong material . 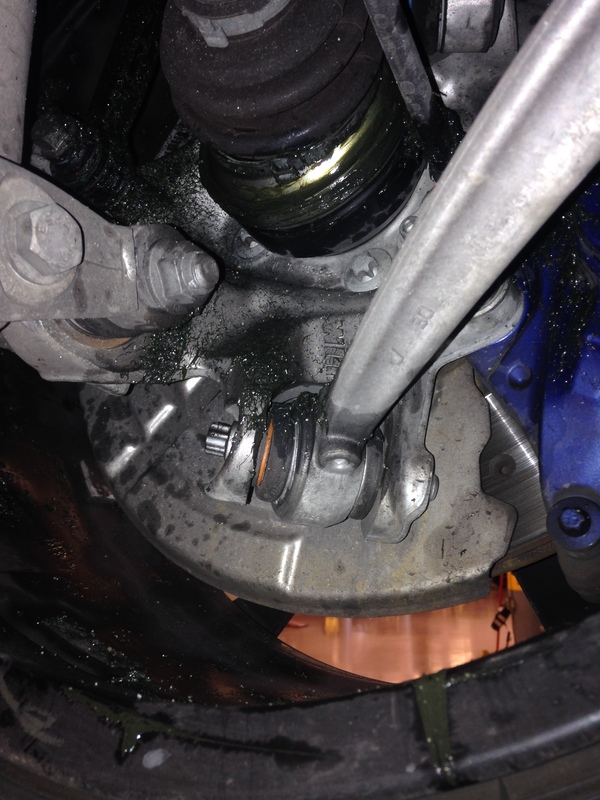 Here you can see the rear knuckle is damaged and the outer cv joint is also damaged,,,,we will find out later if the rear differential is damaged inside from the left rear axle being pushed into the differential. Here the left rear wheel,,,,there really no major damage just the scratches,,,,,looks like somebody lost control of there car with all this rain we have been having in California . 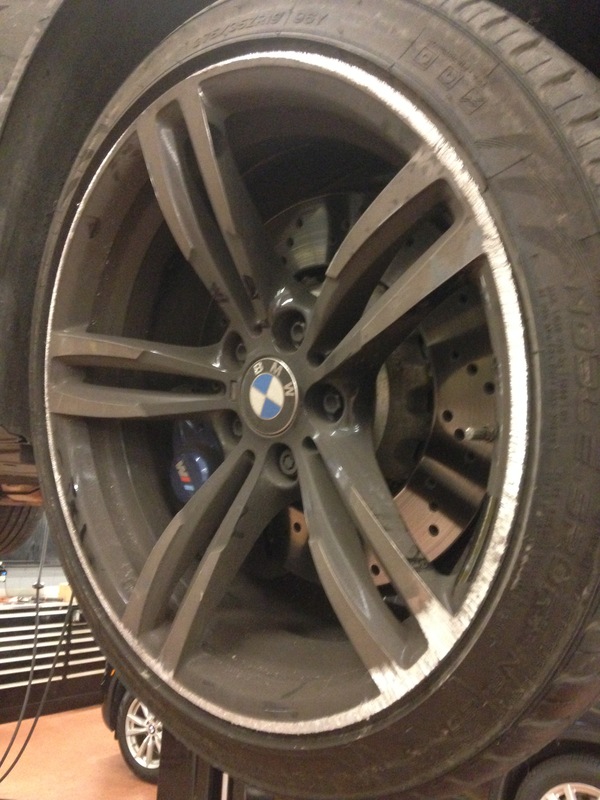 This entry was posted in Uncategorized and tagged damage, M3, rear suspension. Bookmark the permalink. Hello BMW tech. I have a 2011 328i coupe. I was working on my car today and I accidently put a jack stand on my lower control arm and let all the weight of the car go on it. I lift it back up immediately but I am worried. Do you think I bent the control arm? On the front right by the way. You should be ok,,,,just look at it and compare it to the other side and see if it looks the same,,,,,also does your car still drive straight,,,,if you bent the arm the steering wheel would be off.